Our pieces are made by Master Craftsmen on the Navajo Nation in Window Rock, Arizona and in Santa Fe, New Mexico. We make finely crafted pieces with the highest quality precious metals and stones. Each master jeweler is an artisan-collaborator to Dineh Jewelry each bringing their own finishings, textures, techniques and touch to create timeless authentic jewelry. Dineh Jewelry’s works with Navajo master craftsmen on the Navajo Nation in the capital of Dinétah Window Rock, Arizona as well as master craftsmen in the historically rich capital of New Mexico, Santa Fe. 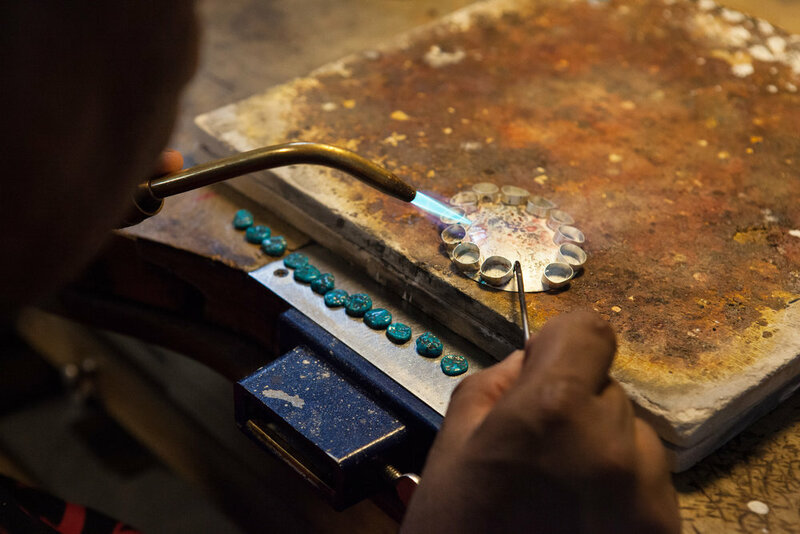 Our master craftsmen have worked over 20 years as silversmiths and express their own passion and skills that show in each piece of Dineh jewelry. The highest quality stones are used in each Dineh piece that come from areas in the Southwest such as the Kingman Turquoise originating from Kingman, Arizona and Blue Moon Turquoise from Colorado. Traditional Navajo techniques are used in our Dineh pieces such as stamping, bump-outs, overlay, and symbols that reflect our culture and traditions. 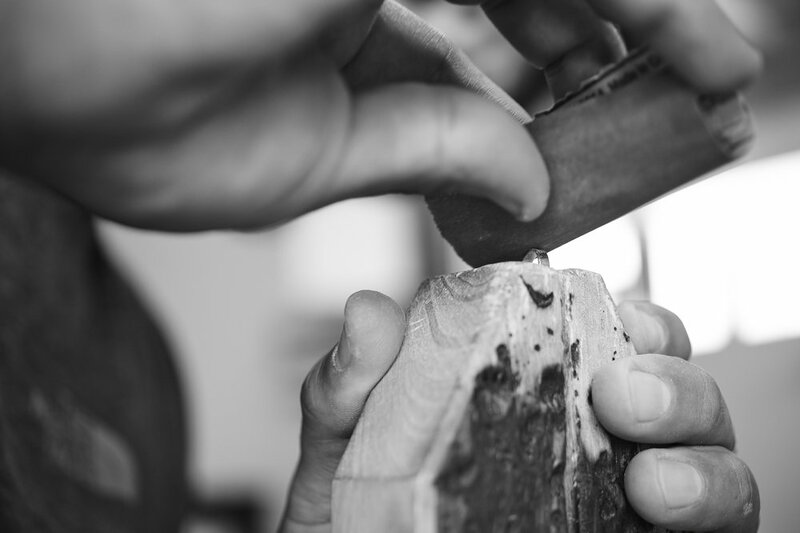 The proportions, shapes, techniques, finishes are all part of the handmade process that goes into each piece of Dineh jewelry.